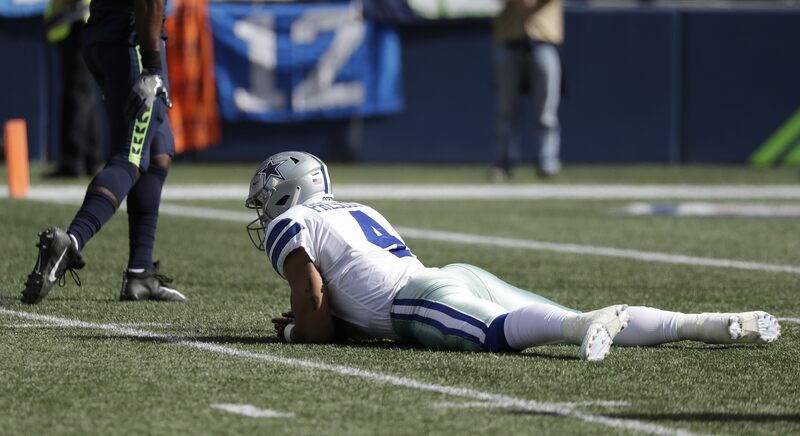 The Dallas Cowboys have yet another disappointing loss to put behind them, or at least attempt to, as their struggles on offense carried into Seattle for week three. A desperate team in search of their first win at home, the Seahawks took full advantage of the Cowboys lack of preparation in the first half before capitalizing on mistakes to pull away 24-13. The Cowboys dropping their second game in three weeks, both in similarly lackluster fashion, this will be a long week at The Star before Dallas kicks off against the Detroit Lions at home on Sunday. Perhaps the Cowboys need not look any further than their next opponent to realize not all hope is lost for 2018. Like the Seahawks, the Lions were fighting to save their season yesterday, and did so with a home win against the now 1-2 New England Patriots. If the Cowboys are going to reclaim their status atop the NFC East at any point this season though, some drastic changes are needed on offense. As always, here are my immediate notes on a Cowboys team that relied on their defense a few too many times in this latest loss. I understand the Cowboys plan to use heavy personnel on offense against a defense with as much lateral speed as the Seahawks, but once again the execution from their wide receivers and tight ends was very poor. By inviting defenders near the line of scrimmage, the Cowboys were challenging their offensive line to beat the Seahawks off the ball and potentially create some big plays for Ezekiel Elliott on the ground. Elliott did find some success as the game became further out of reach for his team, partially because of his own miscues. The Cowboys' offseason approach at WR is yielding no immediate results, but so too is their confidence in Geoff Swaim, Blake Jarwin, and Rico Gathers to step up in the absence of Jason Witten. While Witten isn't the missing piece for the Cowboys pushing the ball down the field, their lack of a threat at tight end is a serious detriment to Dak Prescott. An early second half sequence that really hurt the Cowboys in this game began with a Gathers false start, the team's second straight penalty. 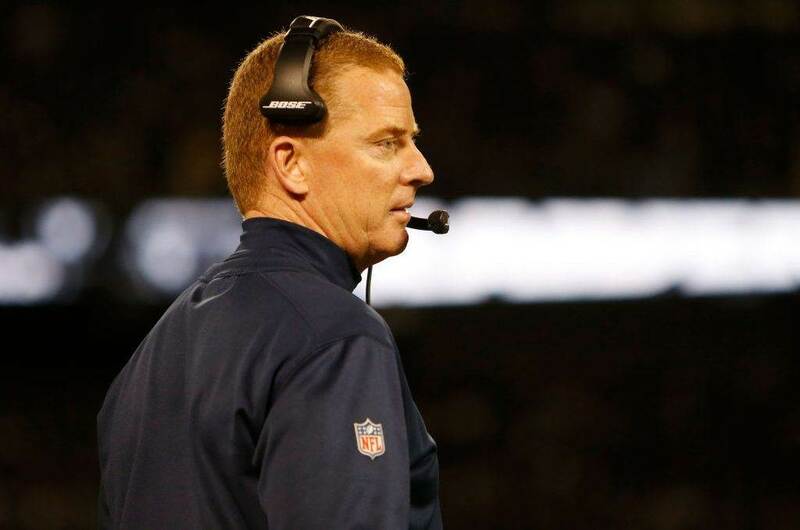 Byron Jones' holding penalty on a Seahawks punt backed the offense up to their eleven yard line, and Gathers' ensuing procedural penalty had Dallas driving from their own six. The Cowboys would do well to earn a manageable third down, despite a predictable run for no gain on first and 15, but Michael Kendricks' sack of Prescott forced a three and out. This will do little to take the heat off Offensive Coordinator Scott Linehan, but the Cowboys bigger issue on offense was execution compared to play calling in this loss. Yes, execution is also part of coaching, which makes not only Linehan but the rest of the Cowboys coaches along with Head Coach Jason Garrett responsible for the team's floundering 1-2 start. The Cowboys finally saw Elliott involved in the passing game on an apparent second quarter touchdown, only to have Elliott step out of bounds before the catch. Settling for early field goals with good field position is typically a sign that a team is in for a long day on the road, and this is exactly the type of afternoon it was for Dallas. Adding another Elliott fumble and two Dak Prescott interceptions only provides further context on how well the Cowboys defense is playing, keeping this game within reach until the closing minutes. The Cowboys offense is a house of cards right now, deliberately played by those that should have been held to higher standards as early as last season. 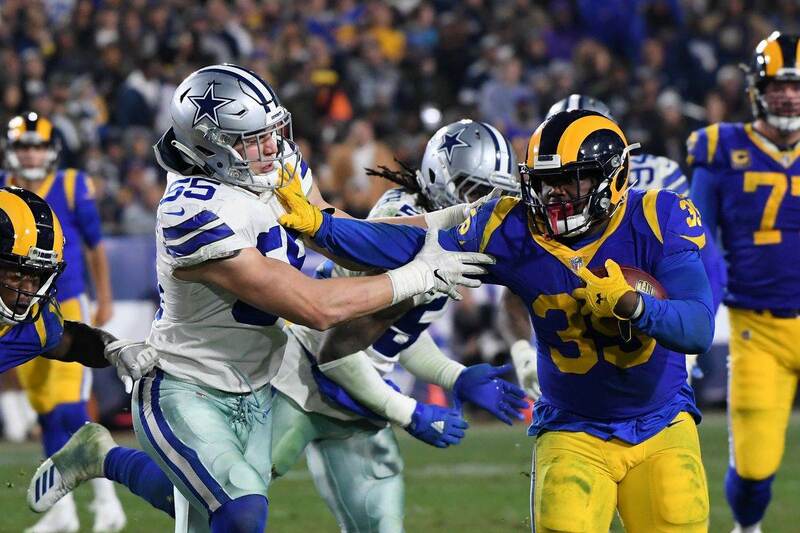 With enough talent on this side of the ball to turn things around, the Cowboys must quickly figure out the right layers to peel away before discovering the root of their offensive woes. Whether or not this ends up being Linehan, or if he simply becomes the scapegoat for a team that's never truly wavered in their commitment to Prescott, it's hard to argue with a change in philosophy for a Cowboys offense still searching for identity. 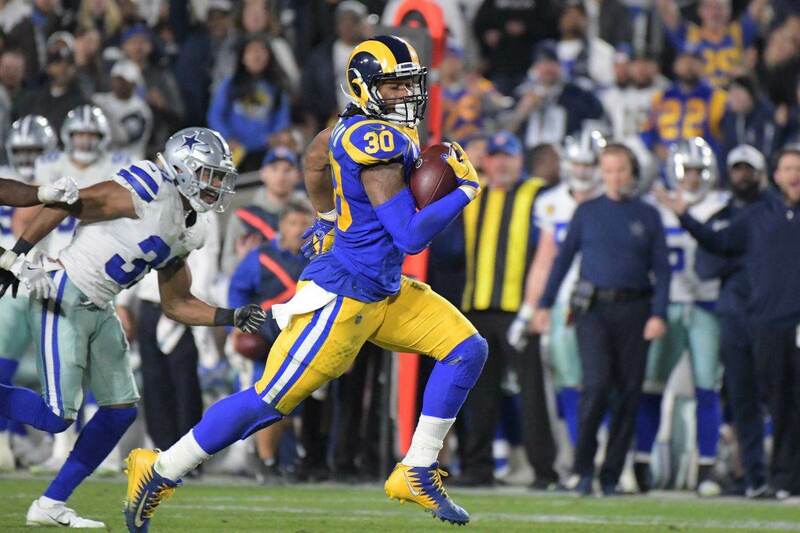 The Cowboys certainly weren't more creative in this loss, even on their deceptive pitch to Tavon Austin for his second touchdown in as many weeks. That exact play has been used by plenty of teams in that situation this season. With each successful conversion, more teams will add it to their arsenal - the Cowboys being the latest, with nothing to truly show for it. The Seahawks first touchdown came as a result of two of the worst defensive plays of the year for the Cowboys. After being a great blitzing team through two weeks, the Cowboys poorly executed an aggressive third down blitz with the Seahawks on their 35-yard line. The result was a 19-yard conversion to running back Chris Carson. Both Sean Lee and Jaylon Smith were picked up easily by the Seahawks pass protection on the play. On the very next snap, the Seahawks' speed beat the Cowboys as Jaron Brown freed himself for a 16-yard touchdown. Of course, Seattle would never look back after this second quarter score to open a 7-0 advantage. The Cowboys issues in coverage didn't stop here either, with Russell Wilson making the timely plays that Prescott left on the field. On Tyler Lockett's touchdown, pushing the Seahawks lead to 14-3, Kavon Frazier was beat to the spot in helping Chidobe Awuzie down the sideline. Expecting the safety help to be there as it had been with Jeff Heath or even Xavier Woods (playing in his first game of the season), Awuzie still struggled to slow down Lockett, giving a below average cover player like Frazier no chance to get back in the play. The Cowboys are committed to rotating their linebackers and safeties this season, and while the results have mostly been positive, they simply got caught with the wrong safety in the wrong spot here. To make matters even worse, Seahawks safety Earl Thomas made these gaffs a "what could have been" moment for the Cowboys, turning the game with two interceptions against a team that may still make a push for his services. Earl Thomas said a couple of Cowboys coaches said to him before the game, "You ready for the trade tomorrow? It took a rough outing from Chidobe Awuzie to be fully appreciated, but Byron Jones was able to show why he's the best cornerback on the Cowboys right now. On a positive note, the Cowboys are absolutely being rewarded for moving former first-round pick Byron Jones back to cornerback. This was one of the first decisions Kris Richard made upon his arrival to Dallas, looking to bring the Seahawks model to the Cowboys secondary. Jones size and frame gave him a great chance to succeed under Richard before ever suiting up, but his awareness at cornerback has been off the charts. As opposed to dealing with players already at full speed or at the catch point when he was a safety, Jones is embracing being able to break on the ball and make more plays. When the Seahawks needed a play through the air, they picked on Awuzie, who was exposed a bit for his tendency to sit on deep routes and react late to anything across his face. To start the game though, the Seahawks learned quickly that targeting Jones was a losing battle, unable to get anything behind him. Week three was a great example of how much the NFL is a week-to-week league. Before kickoff in Seattle, the Cowboys were perceived to be entering an easier stretch to their season. Now, the Seahawks look like a team that can climb back into the playoff race, as do next week's opponent in the Lions for the Cowboys returning to AT&T Stadium. It feels safe to say that at least two things are true of the Cowboys through these trying three games however. The Cowboys defense is already one of the best in the league, with the potential to get even better. Meanwhile, their offense is objectively one of the worst. Whether or not the Cowboys offense is fixable is a question this staff must answer between now and next Sunday. As mentioned, it may feel like a long time until then, but for a team with as many issues as Dallas right now there will be little reprieve from salvaging relevancy (or trying to) in week four. Tell us what you think about "Sean’s Scout: Poor Execution, Timely SEA Passing Game Doom Cowboys" in the comments below. You can also email me at Sean.Martin@InsideTheStar.com, or Tweet to me at @SeanMartinNFL!